RIDOUT, MATILDA (Edgar, Lady Edgar), historian and feminist; b. 29 Sept. 1844 in Toronto, fifth child of Thomas Gibbs Ridout* and Matilda Ann Bramley; m. there 5 Sept. 1865 James David Edgar*, and they had three daughters and six sons; d. 29 Sept. 1910 in London, England, and was buried in Toronto. 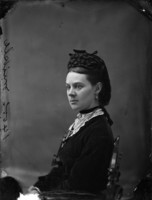 Matilda Ridout came from an old and prominent Toronto family. 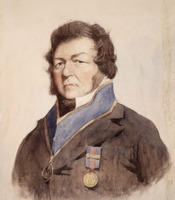 Her grandfather Thomas Ridout* had been surveyor general of Upper Canada from 1810 to 1829, and her father was the first cashier (manager) of the Bank of Upper Canada from 1822 until his retirement in 1861. Little is known about Matilda’s early life and it is uncertain whether she had any formal education. In a letter of 1866 she says only that she was brought up with the idea that her family was well off. Unfortunately, bad times “swept off a great deal” and her father’s death within months of his retirement left her mother “very straitened,” with a family of nine to provide for. After Matilda married James David Edgar, a lawyer and author, her life for a time was given over to having and rearing their numerous children. Her descriptions of pregnancy and childbirth are typical for the period but poignant none the less. The birth of her first child entailed “less than the usual amount of suffering”; however, she “dreaded” each childbirth and admitted to being “rather nervous” about the possibility of dying after giving birth. She nevertheless maintained a sense of humour. During her first labour she was told that her sister-in-law, through whom she had met James, was downstairs “shutting her ears and reiterating she never never would be married,” at which comment, Matilda related, she could not help laughing in spite of her pain. Matilda was a devoted mother who enjoyed her children and delighted in describing their activities and accomplishments in letters to family members. She taught the children their letters and arithmetic, although in such a way as to “make it an amusement.” Matilda and her husband had a loving and supportive relationship. James wrote newsy and affectionate letters to her every day when he was away from home. For Matilda’s part she was proud of James and quite ambitious for him. 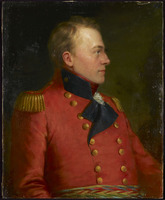 Both works were representative of the whig or nationalist school of historical writing, wherein the historian’s objective was to celebrate Canada’s achievements, such as winning the War of 1812, in order to further national consolidation. 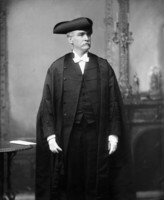 As M. Brook Taylor has pointed out, many historians “turned to biography and the veneration of the nation’s forefathers” to, in Matilda’s words, “inspire every Canadian with a feeling of pride in his country, and of grateful admiration for those who saved the land in its hour of need.” Her subject was unusual for a woman. One reviewer commented that “history is not woman’s domain in literature” and that the “natural sympathy and tenderness” of women “militate against excellence as historians.” It is likely that Matilda’s first literary efforts had a military and historical focus not because she consciously chose a non-traditional theme but simply because the Ridout letters were in her possession and provided a ready outlet for her literary energy. For her third and last book she again turned to Ridout family papers, although on this occasion her subject was not Canada but Maryland. A colonial governor in Maryland; Horatio Sharpe and his times, 1753–1773 was posthumously published in London in 1912. 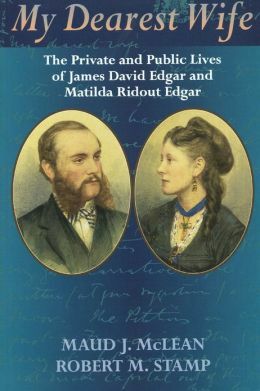 For several years before her death Lady Edgar, as she became in 1898, worked on a biography of a Scottish Jacobite named James Edgar, an ancestor of her husband. In 1909 she received permission to consult his correspondence, preserved in Windsor Castle. She did so the following year and while in London completing her research she died of heart failure. The biography was never published. It was not until late in Lady Edgar’s life that she involved herself in activities outside her family and literary sphere. She first became interested in public affairs in association with her husband’s political career. 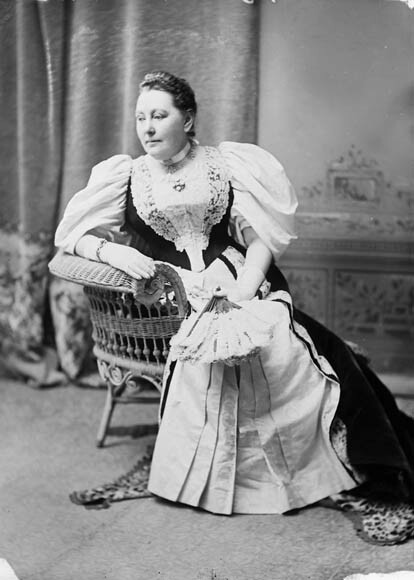 Following his appointment as speaker of the House of Commons in 1896, she lent her patronage to many philanthropic enterprises, including the Infants’ Home in Toronto, the Imperial Order Daughters of the Empire, and the Women’s Art Association of Canada. 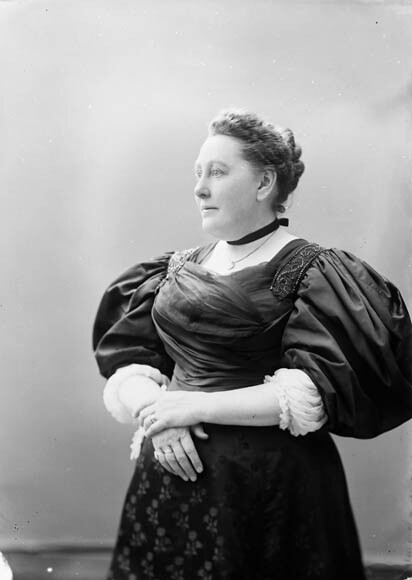 She was also involved in the Women’s Canadian Historical Society of Toronto, serving in 1899 as its president, and she was acting president of the National Council of Women of Canada for part of 1898. However, she gave up all these endeavours for about one year after her husband’s death on 31 July 1899. She was so grief stricken that she was briefly attracted to spiritualism. With her children she conducted seances in an effort to contact him through automatic writing. In February he supposedly told his wife to “go bravely on with your work . . . and for my sake bear up and be to [the children] all that a mother can be.” This communication apparently helped her come to terms with her loss and she resumed her outside activities in 1900. 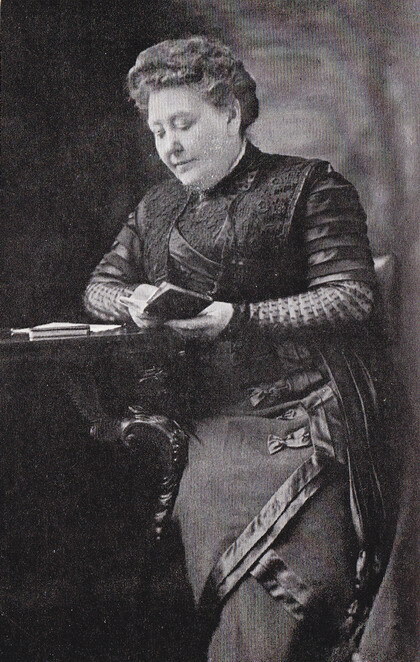 After this year of spiritualist explorations Lady Edgar became more involved in advocating the rights of women to higher education, to earn an independent living, to vote, and, in the case of married women, to control their own property. Her commitment took the form of leadership in the National Council of Women: she became a life member in 1906 and was elected president that year and again in 1909. Lady Edgar is known best as a historian and philanthropist, but it should be remembered that she had a successful literary career at a time when some men still frowned on women engaging in such work. Undoubtedly there is a connection between her pursuit of a non-traditional career and her association with other accomplished women writers and reformers, including Lady Aberdeen [Marjoribanks*], Sarah Anne Curzon [Vincent*], Mary Agnes Fitzgibbon [Bernard*], and Emily Cummings. Lady Edgar was in step with these women in her support of reform and women’s rights at a time when these issues were at the forefront of social debate in Canada. In addition to the works named in the text, Lady Edgar is the author of “Sketch of Mrs. Curzon’s life and work,” Women’s Canadian Hist. Soc. of Toronto, Trans., no.2 (1899): 3–4. AO, F 65, MU 961–62, MU 967, scrapbooks nos.1–2, MU 968–70. Evening Telegram (Toronto), 20 Oct. 1910. Globe, 1 Oct. 1910. World (Toronto), 26 Dec. 1890, 9 Oct. 1910. Carl Berger, The writing of Canadian history: aspects of English-Canadian historical writing (Don Mills [Toronto], 1976). Ramsay Cook, “Spiritualism, science of the earthly paradise,” CHR, 65 (1984): 4–27. Encyclopedia of the American religious experience: studies of traditions and movements, ed. C. H. Lippy and P. W. Williams (3v., New York, 1988), 2: 711–22. Gerald Killan, Preserving Ontario’s heritage: a history of the Ontario Historical Society (Ottawa, 1976), 28. Lit. hist. of Canada (Klinck et al. ; 1976–90), 1: 97–105, 222–64. NCWC Year book, 1899–1900, 1906–8, 1910. Alison Prentice et al., Canadian women: a history (Toronto, 1988), 179–80. “Sketch of Lady Edgar’s life,” Women’s Canadian Hist. Soc. of Toronto, Trans., no.8 (): 3–4 (photograph facing p.3). Standard dict. of Canadian biog. (Roberts and Tunnell). M. B. Taylor, Promoters, patriots, and partisans: historiography in nineteenth-century English Canada (Toronto, 1989), 167. Types of Canadian women (Morgan). Erin Breault, “RIDOUT, MATILDA,” in Dictionary of Canadian Biography, vol. 13, University of Toronto/Université Laval, 2003–, accessed April 18, 2019, http://www.biographi.ca/en/bio/ridout_matilda_13E.html.